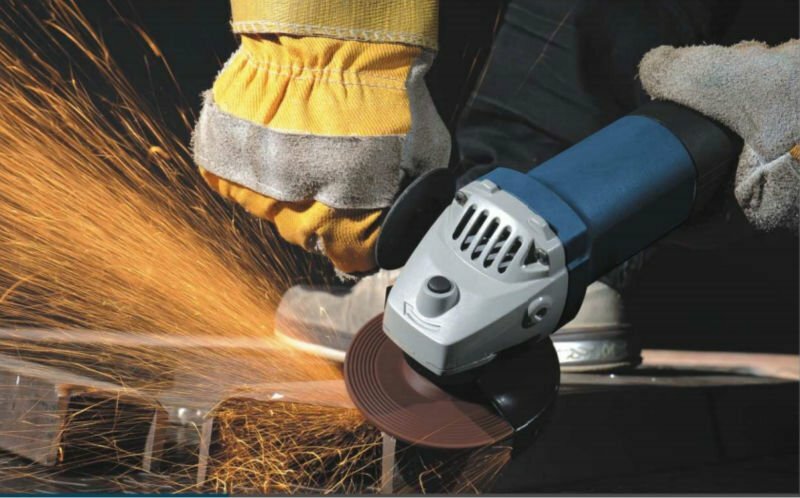 ANGLE GRINDERS use a wide variety of cutting & grinding wheels. Choosing the right wheels/discs according to its applications, kindly visit the given link below for more information. NOTE: Angle grinders can be dangerous if the personnel or the one who is operating are not familiar with the hazards associated with the use and maintenance of the equipment. Changing of abrasive wheels must be done only and a competent and trained person. Wear a face shield and gloves when working on or near an operating grinder. All guards should be in place and secure. Unplug the grinder when changing wheels. Run new wheels for one minute in a protected area before using them to make sure the wheel is not defective. The use of cutting & grinding equipment should be controlled under a Permit To Work - "Hot Work Permit". Attached the handle and maintain a firm grip with both hands. Keep bystanders away. Everyone in the vicinity should wear safety glasses. Keep sparks away from flammable areas. Ensure all flammable materials are removed from the work area prior to use. All cutting & grinding tools should be equipped with properly functioning "Dead Man's" switch. Is a switch that is automatically operated in case the human operator becomes incapacitated, such as through death or loss of consciousness.